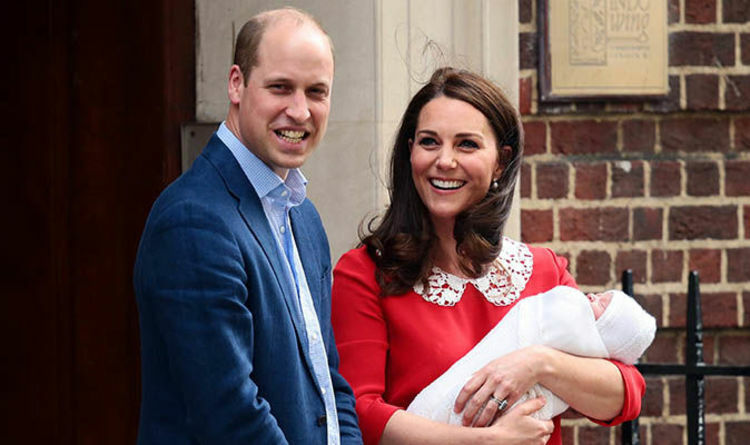 Prince Louis christening: What £11000 item are Kate and William bringing to christening? Prince Louis will be christened at The Chapel Royal in St James’s Palace in London on Monday, July 9. The service will be carried out by the Most Reverend Justin Welby. Kensington Palace announced the details in June, following the birth of Prince Louis on April 23 at St Mary’s Hospital, Paddington. The palace said: “Their Royal Highnesses The Duke and Duchess of Cambridge are pleased to announce that the christening of Prince Louis will take place on Monday 9th July at The Chapel Royal, St James’s Palace, London. There are many royal family christening traditions which have been carried out in the past, including at Prince George and Princess Charlotte’s christenings back in 2013 and 2015. But what is the £11,000 item which will be used at Prince Louis’ christening? The Lily Font will be used at the christening of Prince Louis, as it has been at the christenings of all of the Royal Family newborns. The item is said to be worth £11,000 and the tradition began by Queen Victoria and Prince Albert. The gilded silver font, weighs in at 21 pounds and was commissioned by the royal couple ahead of the birth of their first baby, Royal Central reports. The font was made by the London firm, Barnard and Co and is decorated with lilies, ivy and cherubs. Lilies were chosen as they represent purity - the font cost £189, nine shillings and four pence to be made back in 1840. All the children and grandchildren of Queen Elizabeth II have been baptised in the Lily Font, except for Princess Eugenie, whose ceremony in 1990 was the first public baptism for a member of the British Royal Family. The font is kept at the Tower of London and is transported to the church where the baptism is carried out. In July 2015, it had to be transported to St Mary Magdalene Church at Sandringham, and the whole operation was shrouded in secrecy. Royal babies are usually christened with water brought from the River Jordon where Jesus was baptised by John the Baptist. When Princess Charlotte was baptised in 2015, specially sterilised water was flown in for the baptism of Princess Charlotte. The water is traditionally poured from a silver ewer made for the christening of the future King George III in 1735.